Candis Members can save up to 10% on cottage breaks. Please login at the top of the screen to access this benefit. If you are not a member, for the latest subscription offer please join now. 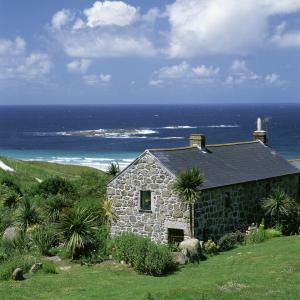 At CottageStayUK there are thousands of cottages and villas to choose from in Britain, Ireland and overseas. SAVE MONEY ALL YEAR ROUND! Whether it’s a cuddling up for a cosy cottage break in the Lakes or staying in a cottage on the beaches of Cornwall, or a family get together in a castle we will find you the right property for your holiday at a great price. I am a contributing member of Candis magazine & saw the advert for cottages stays. I have come onto website hoping to see some available cottages for September, however have been very disappointed not to be able to see anything except details I have already read in my July magazine. Hi Joan, This may be because you might not be logged in to the website? If you enter your email address and password at the top of the page then you should be able to see a link on this page. Thanks. I am having same problem as Joan. I will try Robyns advice. Hi Mary, if you follow Robyn’s advice and log in with your Candis member details you will see a link which says ‘To book online please click here’. If you press click here then you will be able to see all the available cottage breaks on the Cottage Stay UK website. Thanks.